Technology is bringing us ever closer to the possibility of prolonging our digital life beyond death, but it will still always be a simulation; the fact that some part of us can endure in the form of bits will not change the reality that our mortal matter will continue to be left behind. However, even this fact is not immune to our age of innovation: for those who don’t want to settle for a traditional burial or resting eternally in a cremation urn, ingenuity and technology are opening up new alternatives for all tastes. In some cases, these innovative proposals seek to promote more sustainable alternatives to burying and cremation. Embalming fluids, fuels and emissions from cremations are harmful to the environment, to which is added the growing expanse of ​​land occupied by cemeteries. Therefore, some of the new ideas seek to reduce our environmental footprint when we bid farewell to the living world. In other cases, it is about offering different and original destinations for the deceased’s ashes with a merely symbolic or emotional meaning. Perhaps the least practical idea, but one that has attracted a great deal of interest in recent years, is to finally take that trip to space that we were never able to do in life. However, it’s of little practical use because, in fact, only a very small portion of the ashes of the deceased actually go into space, the reason why it’s more of a symbolic gesture that a practical option to provide a definitive resting place for the remains. 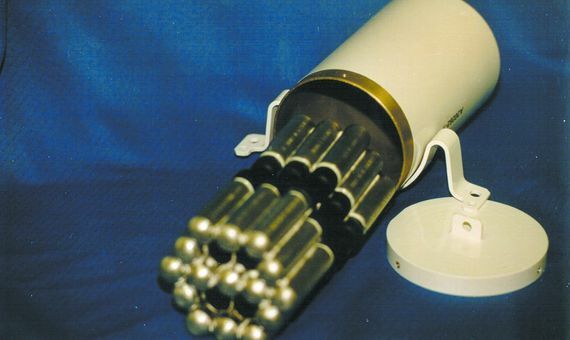 The company Celestis inaugurated its so-called space burials in 1997, with the launch of the ashes of 24 people —including those of the creator of Star Trek, Gene Roddenberry— in a rocket whose primary load was a Spanish scientific satellite. Celestis has made more flights since then, and has joined other companies such as Elysium Space, which last December launched ashes from about 100 people aboard a Falcon 9 rocket from the private company SpaceX. This service is priced at $2,490. The ashes are not scattered in space, however, but remain confined inside the satellite until, after some years, they re-enter the atmosphere and burn up like a shooting star. Companies in the sector are already considering expanding their service by sending ash to the Moon and to interstellar space. At the beginning of this century, companies began to offer the service of transforming the cremation ashes of a loved one into a synthetic diamond by extracting the carbon and subjecting it to a process of compression at high temperatures. Currently there are many companies in the field, such as the Swiss firms Lonité and Algordanza, the American company LifeGem or the British-based Heart in Diamond, among others. The price range varies widely, starting at around $1,000. In recent years, a variety of objects that are made from cremation ash have been added to the now classic diamonds. The British company And Vinyly includes part of the ashes on a vinyl record where the voice of the deceased can be recorded, or even music composed especially for them, while Ashes into Glass creates glass paperweights and jewellery. 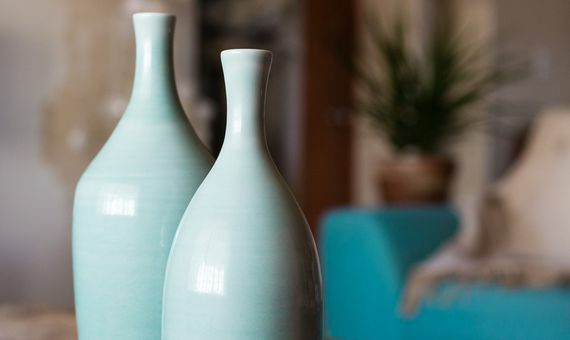 In the USA, the company Cremation Designs mixes the ashes with a glaze that is used to decorate porcelain pieces. In recent years, commemorative tattoos have gained in popularity, made with ink to which a small portion of sterilised ash dust is added. The same applies to the painting of portraits that incorporate a part of the remains. 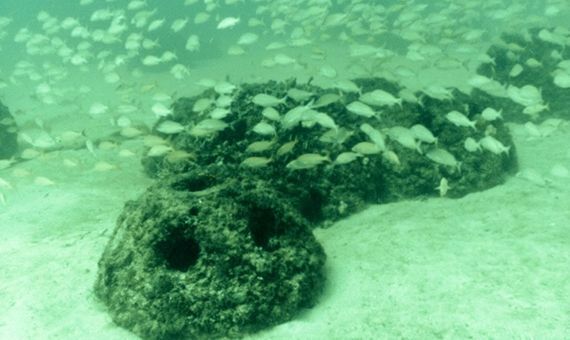 The Florida company Eternal Reefs offers the possibility of using the cremated remains to manufacture breakwater rocks that serve as habitat for oceanic fauna and thus contribute to the protection of the marine environment. The promoters of the project, two diving friends, began at the end of the 1980s to produce perforated blocks of special concrete, or “reef balls,” which they deposited onto the seabed to promote the growth of coral reefs. Since then, they have placed more than 700,000 balls in over 70 countries. The idea of ​​complementing their offer with a funeral service came about in 1998, when the father-in-law of one of the founders became ill and said he wanted to be buried at sea. To fulfil his last wish, his ashes were mixed with the concrete used to make the balls. Since then, Eternal Reefs has deposited thousands of memorial blocks, whose engraved plates recall those who chose a final resting place in the form of a marine garden. All the above options first require a cremation. However, one of the latest concepts for a final resting place is opening a new niche of alternative processes that seek to reduce the environmental footprint of incineration. Perhaps the most well known case is that of biocremation or alkaline hydrolysis, a process that uses a bath of potassium hydroxide at high pressure and temperature to break the remains down to their basic chemical components. But there are still other proposals, including the conversion of the remains into compost, as is done with the organic remains of food. In the US, the state of Washington could be the first jurisdiction to authorise the composting of human remains if two proposed laws currently in the pipeline are successful. Proposed by the company Recompose (formerly Urban Death Project), the process involves placing the remains in a container containing wood chips and straw as a carbon source. Applying heat, the bacteria convert the remains into just under 800 litres of fertile substrate that family members can use, for example, to plant a tree that serves as a living monument to the memory of the deceased. Although a price has not yet been set, the company estimates that it will cost around $5,000, less than a traditional burial. In the same ecologically responsible vein, other methods of composting have been proposed. The Swedish biologist Susanne Wiigh-Mäsak, through her company Promessa, promotes a process that consists in freezing the body with liquid nitrogen and then breaking it down by vibration into small particles that are finally lyophilised (freeze-dried). The product would be buried in a biodegradable container made of corn or potato starch. It would take a few months for the remains to be transformed into fertile soil—a way to depart this world knowing that we are leaving new life behind us.